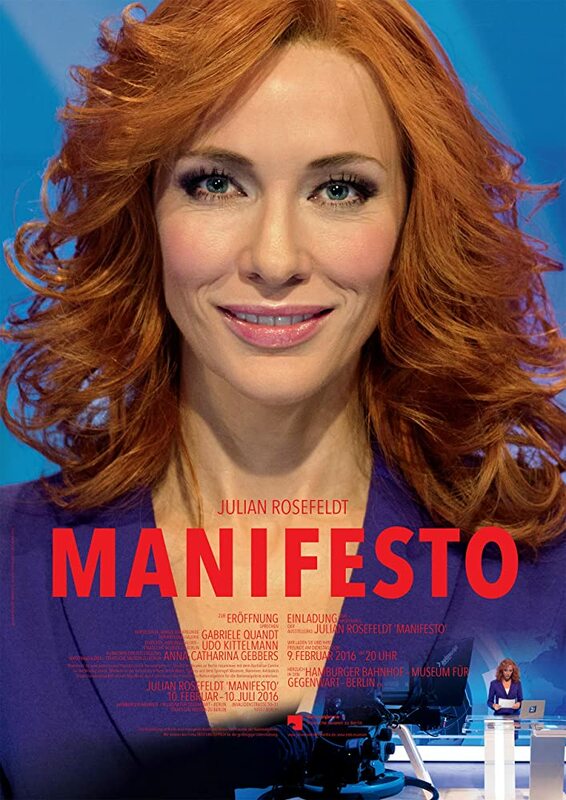 From acclaimed visual artist Julian Rosefeldt, Manifesto features two-time Academy Award winner Cate Blanchett in 13 distinct, must-see vignettes that incorporate timeless manifestos from 20th century art movements. From anchorwoman to homeless man, from Pop Art to Dogma 95, a chameleonic Blanchett gives a tour-de-force performance as she transforms herself like never before. Rosefeldt weaves together history’s most impassioned artistic statements in this stunning and contemporary call to action. Premiering at Sundance this year, Manifesto saw one of the greatest actresses of all time delivering a career best performance. Cate Blanchett seamlessly transitions from character to character, whether she’s portraying a school teacher, a homeless man, or a puppeteer and yes, her puppet. The natural charisma from Blanchett radiates the screen as the film establishes a tone of quirkiness from the get-go. Clearly Blanchett is having a blast here as she buys into each character and shows off her chameleon-like characteristics while showing off nuanced mannerisms of each role. Originally a video art exhibit shown in New York and Berlin, the short films are compiled into one project which represent art and its purpose. Blanchett offers extended speeches throughout the film that come off as if it is live theater. The dense dialogue can be heady at times but Blanchett’s performance is profound and humor can be found in her reenactment of recognizable 20th century artistic writing. Manifesto can be seen as highbrow to some while others consider it a compelling study in the ideology of art. The film itself is innovative in the way the story is told by director Julian Rosefeldt. The 94 minute runtime seems reasonable but the abnormal narrative may result in viewers sitting through a long and tedious watch. Without Blanchett the film wouldn’t reach its full potential. Her star status alone will convince cinephiles to take a chance on the film. After her role of Bob Dylan in I’m Not There it seemed like Blanchett had reached her creative ceiling but that’s not the case as she tackles 13 roles that range from goofy to out right bizarre. Manifesto presents some intriguing ideas of how artists express their intentions to an artistic movement but it’s Blanchett’s triumphant performance that makes it worthwhile.